1. Apply for Encumbrance Certificate (EC) for your flat. It should be for a period of at least a year. You will need to fill Form 22 – available free of cost at sub-registrar office itself. The cost of EC is Rs. 35 for one year. You will need to go back after a day or two to collect the EC. 3. Get copies of the following notarised: Sale deed, Form III (if you have), Possession Certificate (if you have), GPA (if used), fill up the form – green and pink. 5. Tag the application to the notarised documents, EC, latest property tax receipt, plan of the flat, along with the common documents and submit to the local ARO Office. Get the pink acknowledgement slip back. It should be stamped and signed with submission number. 6. Go back after 15 days to check the status. Keep doing this till you get the notification. 7. Demand note indicates the amount you need to pay as khata registration fee. Look at the stamp duty paid in your sale deed. Two per cent of this is the amount. The demand note is issued in batches. So do coordinate with others in your building whose names are in the demand note to get all the DDs. 8. Submit the DDs as per the demand note to ARO Office and get a stamped acknowledgement. A receipt should also be issued but this may be given along with the khata notification or khata certificate. 9. Wait for about 15 days and follow up. Do this every 15 days or so. 10. Check the notification to see that your name is spelt correctly and other information like area of flat, car park, and so on are correct. Take the khata notification to the ARO office with an application requesting issue of khata certificate (pay Rs. 25) and khata extract (pay Rs. 100). Go back as requested by the ARO office to collect your khata certificate and khata extract. 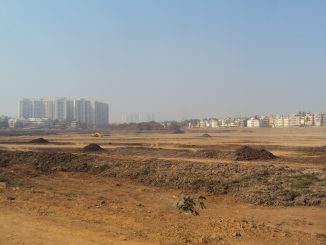 I request you to please issue the Khata Certificate and Khata Extract for the above mentioned property. A copy of the latest property tax receipt is attached. The fee of Rs 125/- towards Khata Certificate and Khata Extract was already paid along with the Khata fee / is being paid herewith. 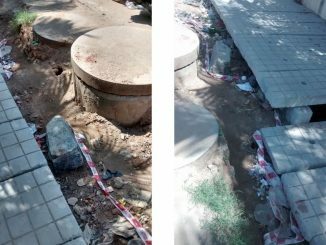 BBMP is yet to repair the footpath in Bilekhalli, even 50 days after the death of eight-year-old Geethalakshmi , who was washed away in the area. Setback spaces specifies the space left between a building and the boundary of the plot. In Bangalore, it sometimes is measured in inches. I have bought a flat at nagarbhavi recently, and builder is denying to give oc , but still is it possible to get khata. If oc is not given what problems arise. Pl advise me whom should I contact for getting .E.C for 10 years, for my flat in chinnappanahalli main road,Near Marathahalli,Bangalore 37. cost please. I have an assessment order and B Khatha for my flat in Old BBMP area in Cox town. I went to the BBMP office and asked them that I want to apply for Khatha certificate and Khatha extract? I was told issuing of these documents has been stopped for the last 2 years as Govt is coming up with Betterment charges ….date not known. Then how can one apply for bank loan without Khatha certificate and extract as banks have stopped issuing loans on B Khatha properties. Can someone tell us as to what this confusion about betterment charges is…. for Old BBMP area?